Composed by a 26-year-old Dmitry Shostakovich, Lady Macbeth of Mstensk was first performed in two different productions in two separate locations within two days in January 1934. After touring successfully for two years the opera was performed in front of Joseph Stalin, who took great offence at the subversive subject matter and described the work as 'an ugly flood of confusing sound ... a pandemonium of creaking, shrieking and crashes'. In this introductory film, created by the V&A as part of the Opera: Passion, Power and Politics exhibition, Music Director of The Royal Opera Antonio Pappano and opera director Robert Carsen share their thoughts on Shostakovich's powerful work, and the historical context surrounding it. 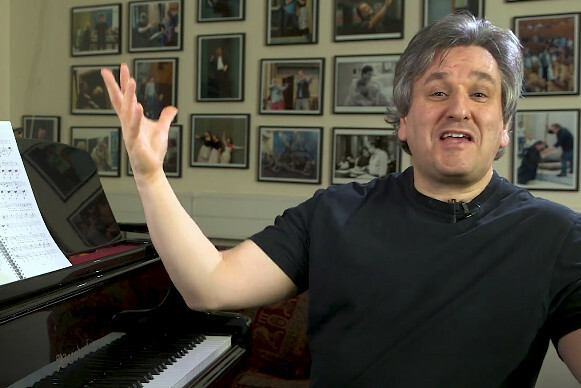 Antonio Pappano explores the opera's background and story, before delving deeper into the character of Lady Macbeth through her music. This video was filmed as part of the Opera: Passion, Power and Politics exhibition, held at the Victoria and Albert Museum and created in collaboration with the Royal Opera House. Lady Macbeth of Mtsensk, directed by Richard Jones, runs until 27 April 2018. Tickets are still available. All best to cast as wasn't on this journey!